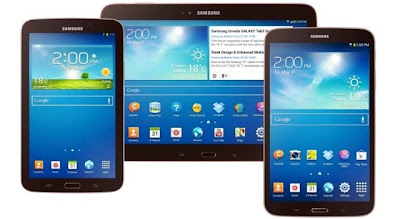 Among the three versions of Samsung Galaxy Tab 3, the 8-inch version is the most powerful and most expensive of them all. The Samsung Galaxy Tab 3 8.0 is now available nationwide, as well as the rest of SGT3 versions. 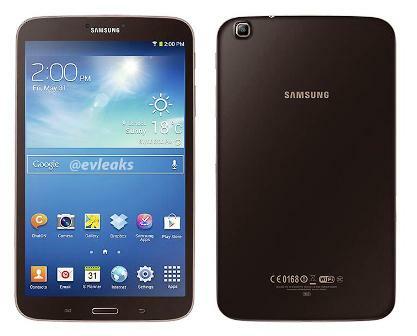 But lets look some insight first on Samsung Galaxy Tab 3 8.0. One major factor that Samsung Galaxy Tab 3 8.0 get a heads up is the 1.5GB of RAM, with that kind of RAM, any app and games can be deemed to be playable. Plus the 1.5Ghz dual core processor to combo with dual cam, and obviously the 8 inch display. The above spec sheet really looks promising, the first impression you can have on Samsung Galaxy Tab 3 8.0 Inch Tablet is the thin sleek body measuring only 7.4mm, handling Samsung Galaxy Tab 3 8.0 Inch Tablet in one hand is an ideal concept of Samsung Mobile. Whenever you feel like reading e-books, and other digital content, Samsung has featured "reading mode" to complement your reading habit. Whenever your abroad and having a hard time understanding other language, or you just feel like translating, Samsung Galaxy Tab 3 8.0 has a feature called "S translation". The basic function is to translate via voice recognition and text based application. Tablet is all about entertainment! Finally, with the integration of Sound alive and Dolby Surround, Samsung Galaxy Tab 3 8.0 will work like a movie theater, and portable that is. It also give clear sound and easy to understand dialogues. Priced at Php18,990 on its WiFi + 3G model | Available now in the Philippines nationwide. Priced at Php18,990, I think that's affordable for this very powerful tab. I don't have this item, but was considering to try.